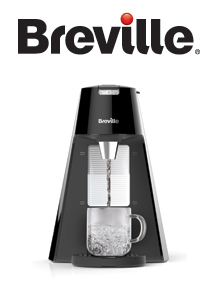 Breville have released the VKT124 Hot Cup. Following the success of other Hop Cups in their Water Boiler catalogue. the new VKT124 has an easy measure large front facing viewing window, easier to activate with larger controls, More flexible with a new design in the height drip tray for your cup and the new model is safer with the added cancellation feature which allows you to stop pouring cycle.